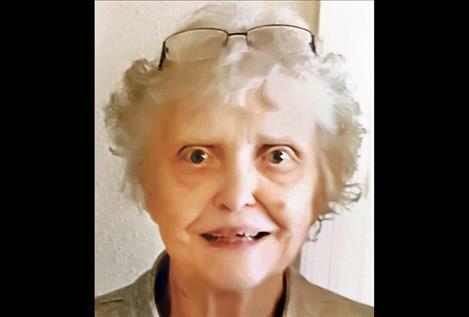 POLSON — Arlene Mae (Eschenbacher) Cooper, 83, went to be with her Lord on Feb. 2, 2019. She was born on July 22, 1935, in Bertha, Minnesota. Arlene grew up in Iowa, graduating from Paullina High School in 1953. She married her high school sweetheart, Vernon Lee Cooper, in 1954. She was active in the Lutheran Church and was a partner in the family business. She took great pride in being a mother and grandmother and very much enjoyed being with her family. She is survived by her children: Kim (Rod) Baasch, Sheryl (Larry) Mink, Blair (Becky) Cooper, Michelle ( Joe) Bonito and Matthew Cooper; her 10 grandchildren: Chad, Luke ( Jessica), Jonathon, Nathan, Destiny, Casey, Austin, Emily, Andrew (Natalie), and Jeffrey; her sisters, Janice (Warren) Melles and Melissa (Doug) Johns; and several great-grandchildren. She was preceded in death by parents, George and Hulda Eschenbacher; her infant daughter, Pamela; her brother, George; and her sisters, Rosemary and Rebecca. A celebration of her life is being planned for this summer in Polson.